DESCRIPTION An exquisite, custom built 3+1 home with over 2,600 sqft of living space, south facing on a quiet cul-de-sac in the sought after Marda Loop. Elegantly finished w/traditional warm tones, crown moulding, H/W floors, custom built ins & natural light throughout. The chefs kitchen is extravagant & ideal for cooking/entertaining & features S/S appliances, a large granite island w/seating, pot/pan faucet & stone backsplash. The spacious main includes a living rm, formal dining & a family rm w/mudroom that accesses your yard, large deck & heated double garage. Upstairs you have a master retreat w/oversized walk in closet w/custom built ins & 5 pc his/hers ensuite which includes heated floors, a rain shower, & jetted tub. 2 additional bedrooms, laundry, & 4 piece bath complete this level. Finished basement has a media room w/rough in for wet bar, 4th bedroom & addt’l 4 pc bath. This exceptional home is located close to 33rd ave shopping, amenities, & schools. Home for sale at 2434 31 AV Sw Calgary, Alberts T2T 1T8. 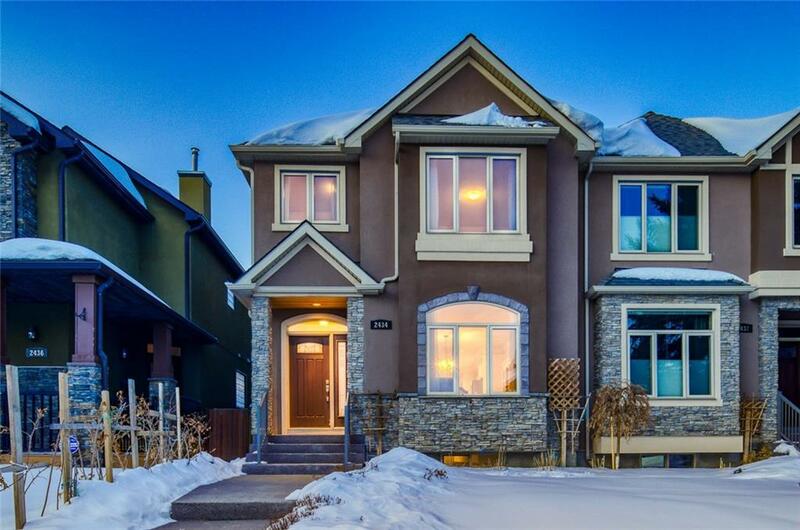 Description: The home at 2434 31 AV Sw Calgary, Alberta T2T 1T8 with the MLS® Number C4229271 is currently listed at $749,900.